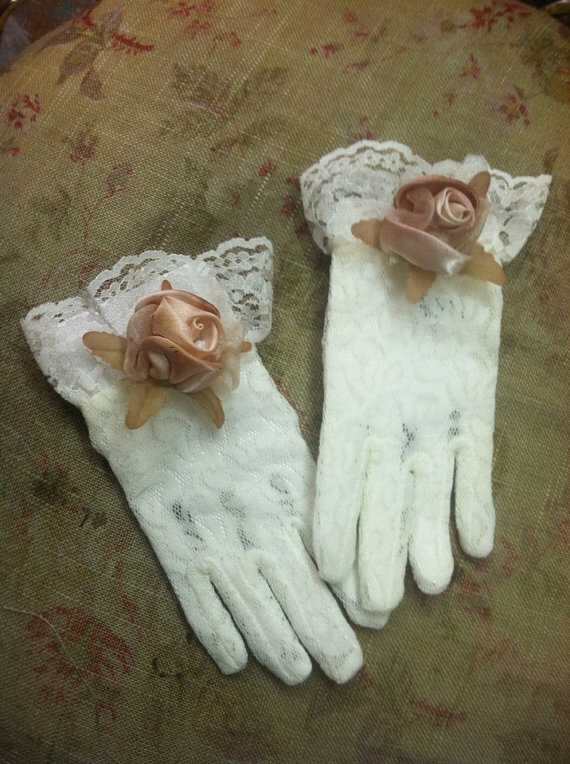 These Victorian Lace Gloves are all ivory and decorated with hand dyed blush pink flowers. These Victorian Lace Gloves are all ivory and decorated with hand dyed blush pink flowers, great when wanting to add that extra element to your flower girl. Colors may very, it all depends on the dye batch we have on hand when you order but will be just as beautiful. Please message us if you have further questions.